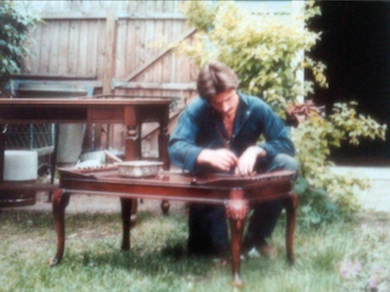 It all started back in 1982 when, at the age of 25, Ziggy Osak was searching for furniture to furnish his home. Frustrated with the lack of quality furniture at reasonable prices, he decided to find nice pieces of furniture and restore them in his garage. After stripping the paint off of some old pieces of furniture, he was amazed at the beautiful craftsmanship that he saw hidden underneath. Restoration and antiques developed into a hobby for Ziggy. Time and time again he would find furniture that no of one wanted, strip the paint off, and find incredible pieces of the likes of Stickley, Baker, and Tobey. After a few years, this hobby turned into a passion as Ziggy learned more and more about the world of antiques. After WWII, people striving for the "in" look of the times, would paint over beautiful pieces of furniture. Time passed and people put these "old" piece of furniture in attics and basements and basically forgot about them for years until being unearthed by Ziggy. Aware of the growing demand for fine American and European antiques, he decided to turn his hobby and passion into a career. In 1987, Evanstonia's first location on Main Street in Evanston, Illinois opened its doors for the first time and the rest is history.